The urban fire problem of rear porches and asphalt exterior siding has moved to the suburbs in the forms of wood decks and vinyl siding. Many times, the strategies and tactics of these fires are discussed in the firehouse, and people tend to have a difference of opinion, especially when unburned vs. burned is discussed. Why don’t we attack the fire from the burned side? This tactic is controversial because it goes against the grain of conventional firefighting tactics, which call for the first hoseline to be advanced into the fire building to protect occupants and their means of escape. The following line-of-duty deaths (LODDs) and near-miss fires are examples of when a different approach may have saved lives or prevented injuries. On April 16, 2007, in the Prince William County (VA) Fire Department, Firefighter Kyle Wilson was killed while operating at a structure fire. On arrival, crews encountered fire on the exterior of the home along the back of the house, underneath, and along a rear deck area. The fire had extended into the attic. Did you know that the Sofa Super Store (Charleston, South Carolina) fire originated on the exterior as free-burning trash? The first-arriving company found a rapidly growing fire on a loading dock connecting the showroom to the warehouse. The assistant chief entered the main showroom from the front entrance and did not find any signs of fire or smoke, similar to the conditions that occurred during the Prince William County incident. Often in exterior fires, the conditions on the interior are not indicative of the fire conditions occurring in the attic or on the exterior siding of the structure. 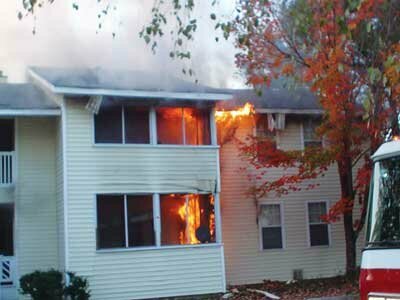 Near misses have occurred by attacking fire from the unburned side, especially fires that originate on or spread to the exterior of the building. For example, the Loudoun County (VA) Meadowood Court fire injured four firefighters, Prince George’s County (MD) recently had two separate near-miss incidents that injured firefighters, and Cherokee County (GA) had an incident that injured four firefighters in December 2010. These fires had many other contributing factors, but one has to wonder whether a direct attack from the burned side would have prevented these deaths and injuries. The fact is that in all of the fires mentioned above, the firefighters were doing what they had been trained to do. In the past 20 years, it has become common practice to attack from the unburned side. Think about the last fire you had where you didn’t pull the initial attack line to the front door. That’s what we typically do—a 1¾-inch line to the front door. Right? We have become complacent because of the repetition of this event. As shown in the fires above, attacking from the unburned side is not always the best plan of attack. Does an Attack from the Unburned Side Push Fire Inside? We have all heard that if you use a direct attack method on the fire from the burned side, the fire could be pushed into the structure, especially if a fog nozzle is used on anything wider than a straight stream. Has anyone actually seen this happen? Is it possible that the doorway through which you entered the structure is actually a ventilation opening and that the fire is being pulled out of that opening instead of being pushed by a hose stream? This question is being investigated in a study by Underwriters Laboratories (UL). This study might change the way the fire service operates. Forcing the front door is ventilation: Forcing entry has to be thought of as ventilation as well. While forcing entry is necessary to fight the fire, it must also trigger the thought that air is being fed to the fire and the clock is ticking before either the fire gets extinguished or it grows until an untenable condition exists, jeopardizing the safety of everyone in the structure. No smoke showing: A common event during the experiments was that once the fire became ventilation limited, the smoke being forced out of the gaps of the houses greatly diminished or stopped all together. No smoke showing during size-up should increase awareness of the potential conditions inside. Coordination: If you add air to the fire and don’t apply water in the appropriate time frame, the fire gets larger and safety decreases. In many of the experiments, [the time] from the onset of firefighter untenability until flashover was less than 10 seconds. Coordination of the fire attack crew is essential for a positive outcome in today’s fire environment. Fire can be unpredictable and untenable at times, but with help from the science community, firefighters have an opportunity to enhance their effectiveness. Scientists from the UL, the National Institute of Standards and Technology, and the National Research Council Canada have performed extensive studies on ventilation, wind-driven fires, and fire spread on exterior walls that all pertain to this article. Many of us work in suburban areas where the spreading of deck fires, car fires, or grass fires to the exterior walls of residential structures is commonplace. Our typical fire attack plan is to “cut it off” in the attic. The following case studies will show that an attack from the burned side may have been a better option. The fire originated on a grill under the rear deck. The first two attack lines were taken through the front door to the attic. The fourth-arriving engine company was assigned to extinguish the fire on the C side (photos 1-2). This fire originated from a grill under the rear deck. Only a light smoke condition was visible on the A side. However, the C side had heavy fire conditions. These photos show the vast difference in fire conditions on the same structure at nearly the same time. On these residential fires, a common tactic is to make an aggressive interior attack to knock down the fire in the attic and then pull a second hoseline to extinguish the exterior fire. This sounds good but, in reality, it can be difficult to get water on an exterior fire such as a rear deck, rear porches, or combustible siding with a hoseline operated from the interior of the fire building. Firefighters operating inside the fire building must direct their stream at an extreme angle through windows and doors for it to strike the exterior wall. Conversely, one firefighter positioned at a corner where the side and rear walls meet can rapidly apply water to burning siding, decks, or porches by directing his stream parallel to the rear wall and striking the soffit underside of the eaves. This tactic stops extension into the attic, and water entering soffit vents may affect any fire that has already extended to the attic. Operating a hoseline in this manner also extinguishes exterior siding as water cascades down the walls. Additionally, a stream directed parallel to the rear wall will not oppose streams directed from the inside of the fire building. Although the first hoseline is stretched to the exterior, hoselines must be rapidly advanced into the fire building to protect occupants and to stop extension to the building’s interior. Interior and exterior hose streams on these fires are not mutually exclusive; each has its own critical function, and it is practically impossible for one stream to duplicate the function of the other. Hoselines operated from the outside and inside a fire building can be viewed by some as opposing streams or mixing offensive and defensive tactics. This concern, however, is based on textbook theory and not practical fire experience. This fire also started from a grill on a rear deck. 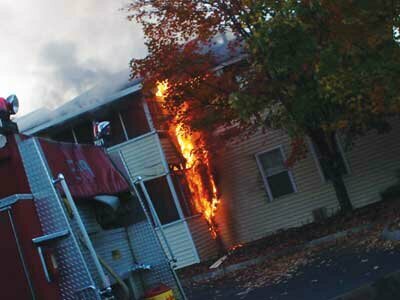 It shows exterior deck fire, C side (heavy fire conditions). At this fire (photo 3), I was on the initial hoseline with a probationary firefighter, who was responding to his first fire. As we entered the front door, conditions rapidly deteriorated, and we were able to back out safely. It is apparent to me now that the front door had become a ventilation opening, which caused the conditions to change rapidly in addition to the large volume of fire on the C side. As the backup firefighter that day, I did not get a chance to do a walk-around. Unfortunately, to some people, the 360° walk-around has become a checkbox instead of actually sizing-up and comprehending the fire conditions to create a sound strategic plan. As seen in this fire, the first-arriving officer did not have much of a plan and went with the old “1¾-inch line to the front door.” We could have been injured or killed that day because of repetitive complacency. Fire started on the exterior deck and spread to the attic, as shown. The initial tactic of the first-due engine was to attack the fire directly with a 2½-inch hoseline. 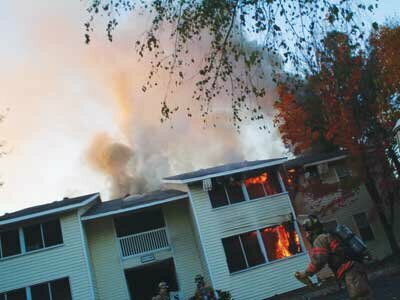 In photo 7, you see the second-due engine company deploying a 1¾-inch hoseline to the attic. Although sound initial tactics were used, poor operations by the first-due engine delayed extinguishing the fire on the exterior, causing significant damage to the structure (photos 4-9). These photos show the sequence of an exterior fire that was attacked from the interior first. 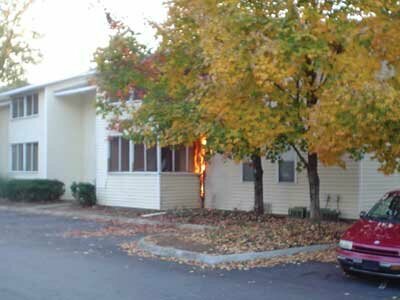 They vividly drive home the point that a fire should be extinguished at its base on the exterior. 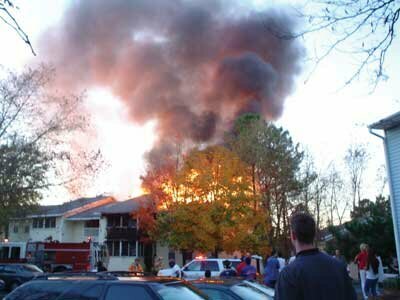 These fires do not only occur in residential structures. They also exist in commercial and high-rise structures. The Atlantic City (NJ) Fire Prevention Division conducted some tests as part of its investigations after the fire department was challenged by two separate incidents that happened to be exterior-wall fires. It found that a direct attack on the base of the fire quickly extinguished the fire and decreased interior damage to the building. On commercial and high-rise fires, sometimes the cladding materials used on the structure may burn up before the fire reaches the interior. It's time to admit that fog streams are not the answer. I strongly advocate a back-to-the-basics approach to the direct attack method with a solid bore nozzle. Its simplicity and effectiveness, coupled with the level of safety it affords the nozzle team, is a good fit with the unpredictable firegrounds of the new millennium. While solid streams are preferable, straight streams may be substituted, provided that fire flows are not compromised. One of the first things we are taught at the fire academy is to “attack the seat of the fire.” This is the location where the fire started and from which it spreads. Why would we ignore this maxim? 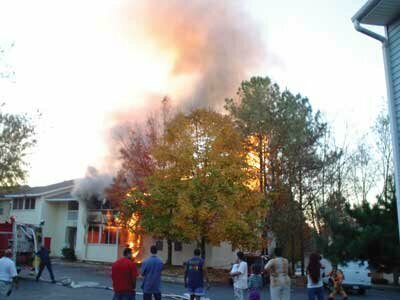 When the fire has originated on the outside of the structure, extinguishment cannot be completed until the seat of the fire is knocked out. Attack from the burned side and then quickly apply a second hoseline to the interior to protect occupants. Strategy and tactics can be emotional subjects because of the life-or-death decisions that have to be made at a moment’s notice under extremely stressful conditions. The dynamic nature of the job is what makes the fire service such a great place to learn from each other. Burned vs. unburned is an age-old argument in the fire service, and firefighting is an inherently dangerous job. Hopefully, by examining subjects like this, using science-based studies, and learning from each other’s mistakes, we can decrease the numbers of injured and killed firefighters. Brannigan, Francis L. (2008) Brannigan’s Building Construction for the Fire Service, 4th edition. Francis L. Brannigan, Glenn Corbett. Jones and Bartlett Publishers. Norman, John. (2005) Fire Officer’s Handbook of Tactics, Third Edition. Fire Engineering. Fredericks, Andrew A. “Little Drops of Water: 50 Years Later, Part 2.” Fire Engineering, March 2000, 153:3, 113-36. Part 1 was published in Fire Engineering, February 2000, 153:2, 63-76. Foley, James M., “Modern Building Materials Are Factors in Atlantic City Fires,” Fire Engineering, May 2010. “Death in the Line of Duty 2007-12,” National Institute for Occupational Safety and Health (NIOSH), February 11, 2009. “Death in the Line of Duty 2007-18,” NIOSH, May 16, 2008. SEAN GRAY is an 18-year veteran and a fire engineer with Cobb County (GA) Fire and Emergency Services. He is assigned to Station 19 and also works as a part-time firefighter for the Roswell Fire Department. He has an associate degree and is a certified paramedic, hazmat technician, and technical rescue technician with Georgia Search and Rescue Task Force 4.